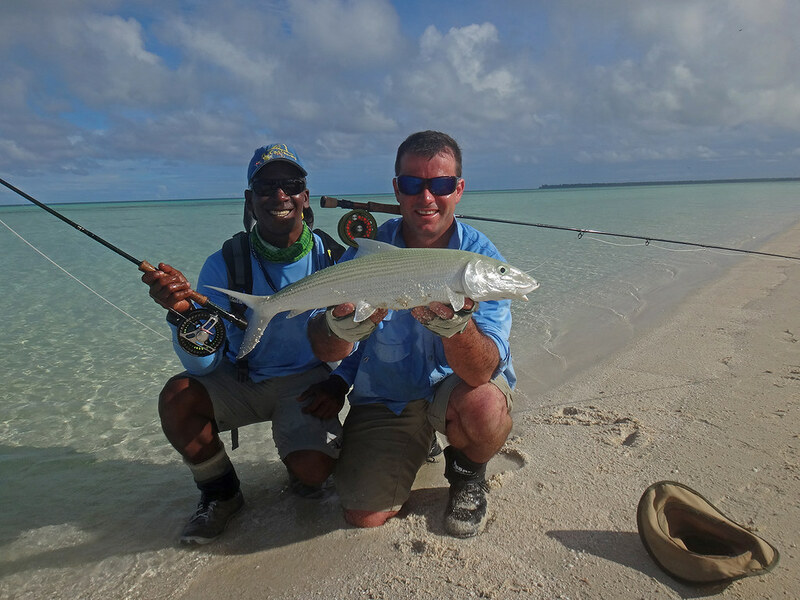 Alphonse Island – Seychelles Fly Fishing: Often referred to as “the most beautiful island in all the Seychelles”, the crescent shaped Alphonse Island is tropical paradise that also happens to be one the most thrilling and diverse saltwater sport fisheries in the world. 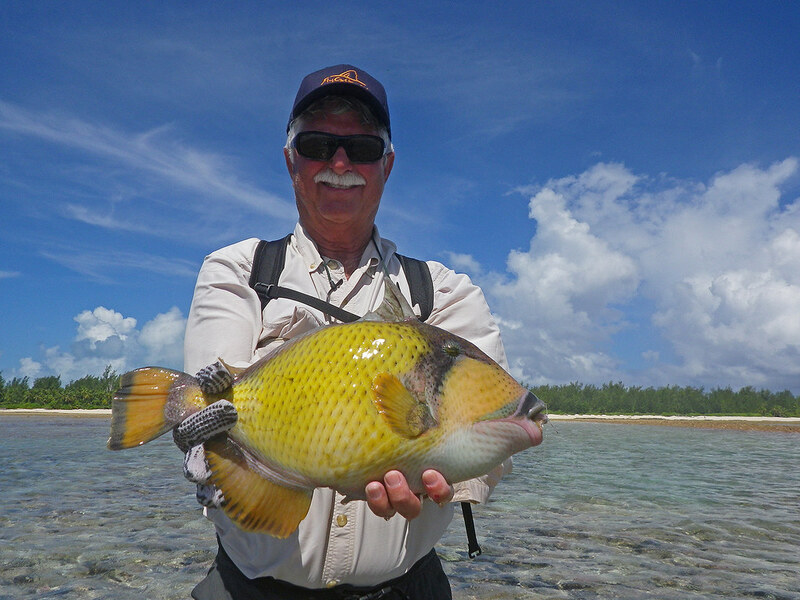 The pristine white sand beaches and endless flats of the Saint Francois Atoll have attracted travelers and fisherman alike for years. 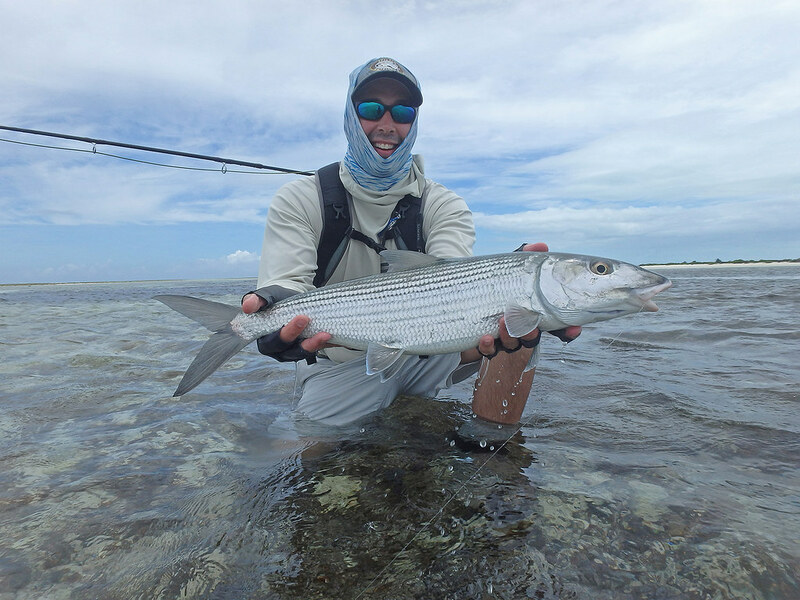 The experience is complimented by a charming, service oriented lodge to call home base for a week of world class fly fishing. 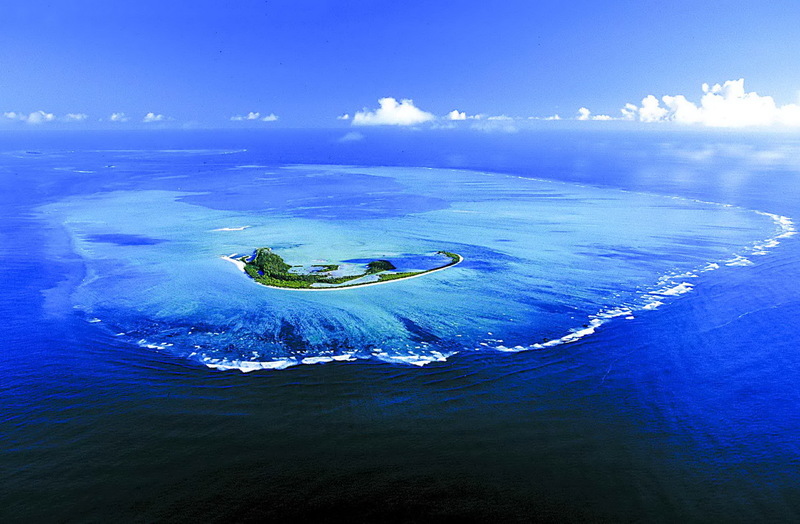 Located 250 miles southwest of Mahe and 1000 miles east of the African coast, the Alphonse Atoll is the largest atoll in its grouping. 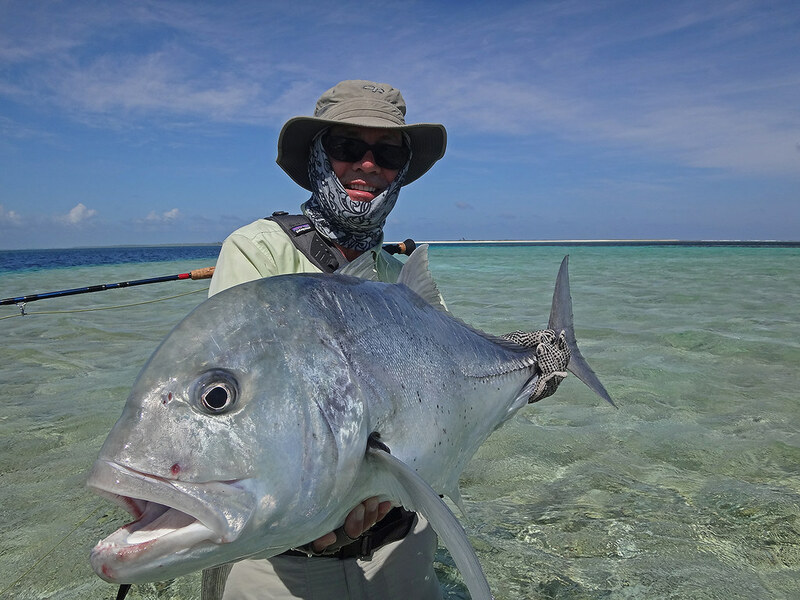 A utopia of dense jungle forests, interspersed with old commercial coconut groves and surrounded by immaculate white sand beaches, Alphonse Atoll is a treasure to behold. 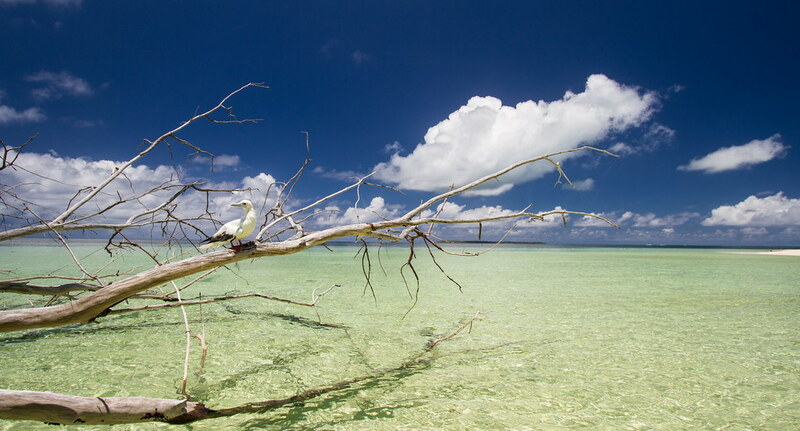 Between tortoises, crabs and a collection of interesting bird species, this remote, secluded island is alive with tropical wildlife. 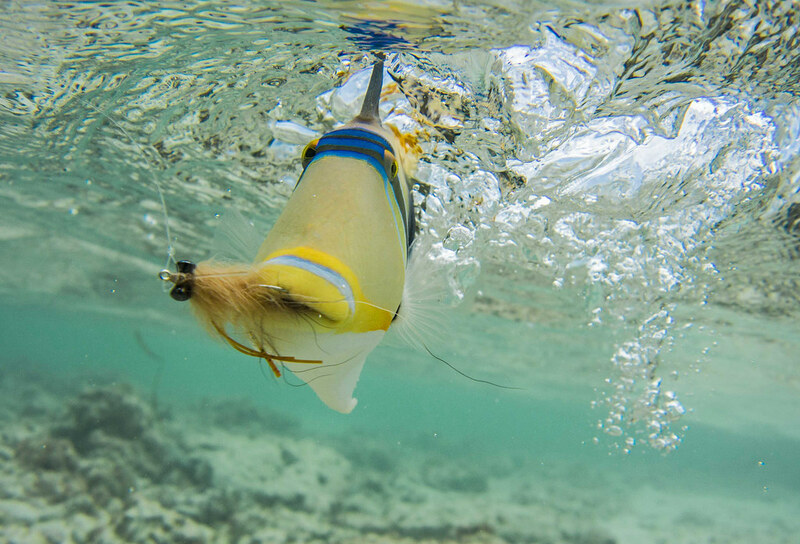 However, the most spectacular and alluring creatures of Alphonse live in the crystal clear waters that surround the atoll. 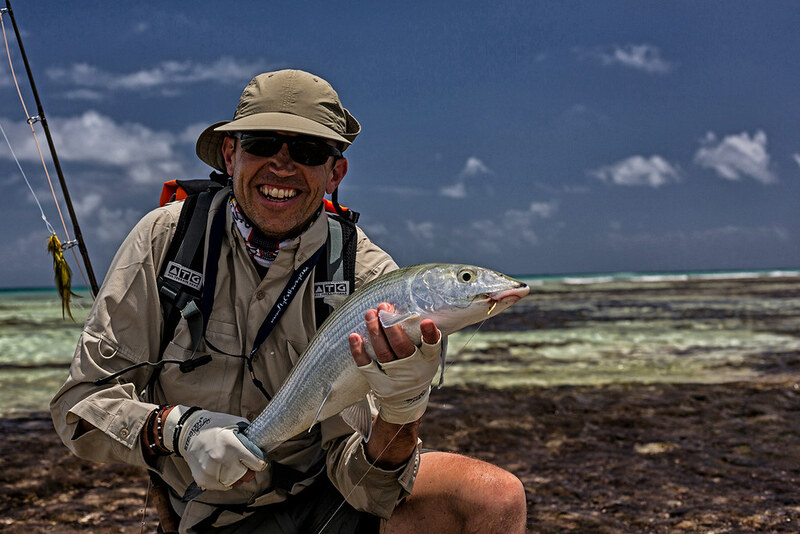 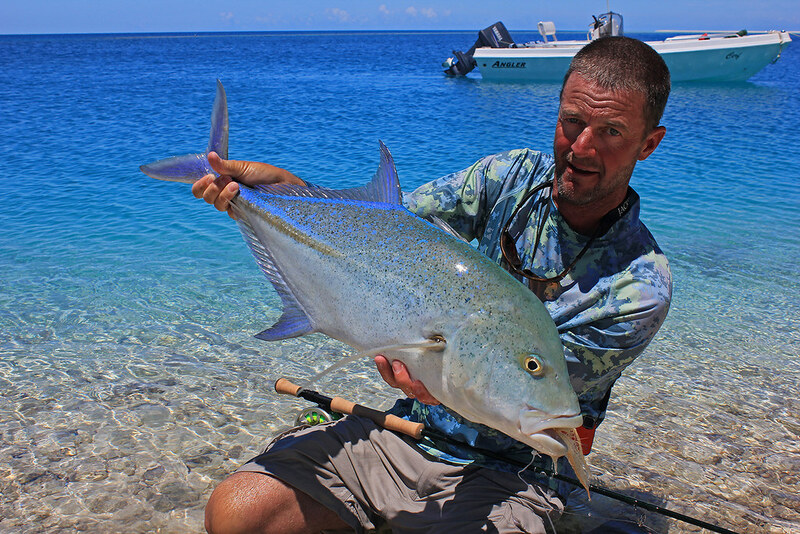 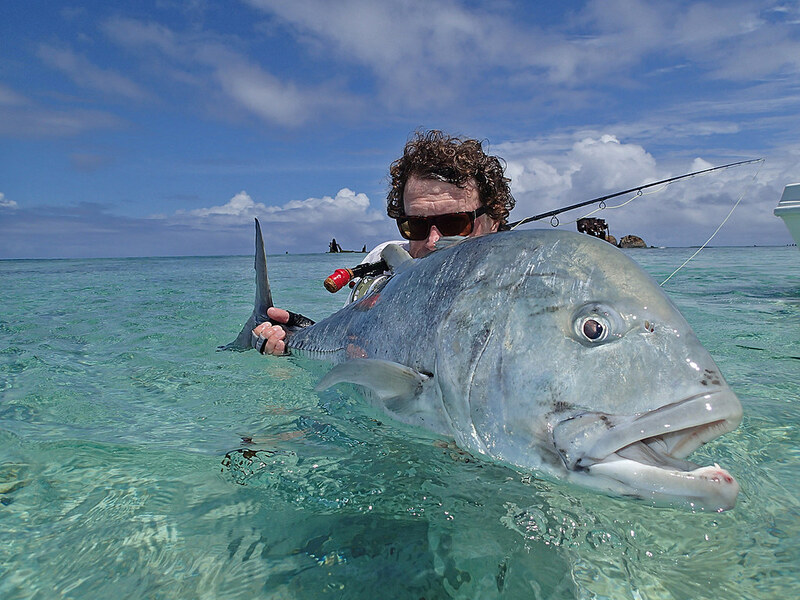 The Seychelles are home to some of the best saltwater fly fishing in the Indian Ocean. 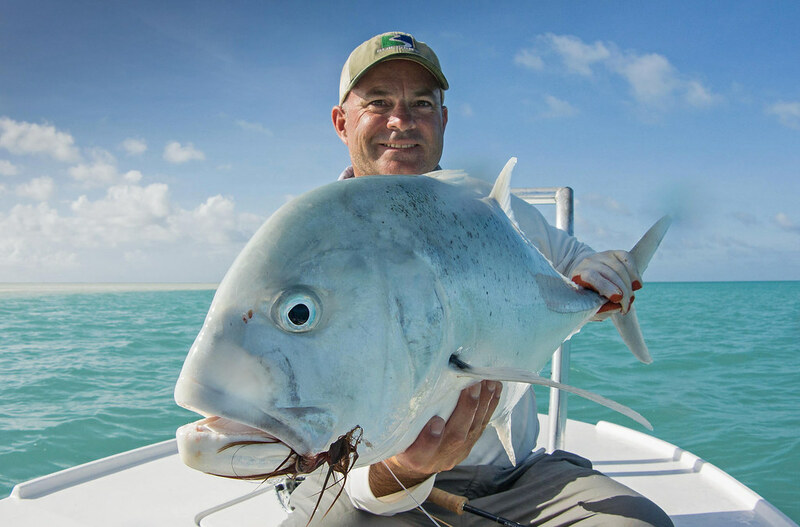 Boasting an amazing variety of species, it is one of the best places in the world to mark multiple fish species off the life list. 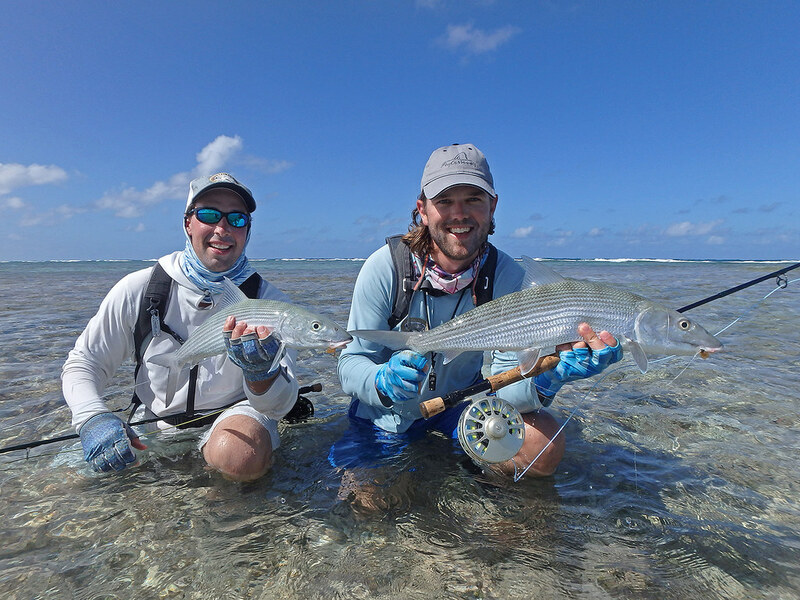 Among the 60 species of fish that have been caught at Alphonse, the most sought after are the Bonefish, Indo Pacific Permit, three species of Trigger Fish, five species of Trevally including the Giant Trevally and arguably the most challenging and fabled fish of the region, the Milkfish. 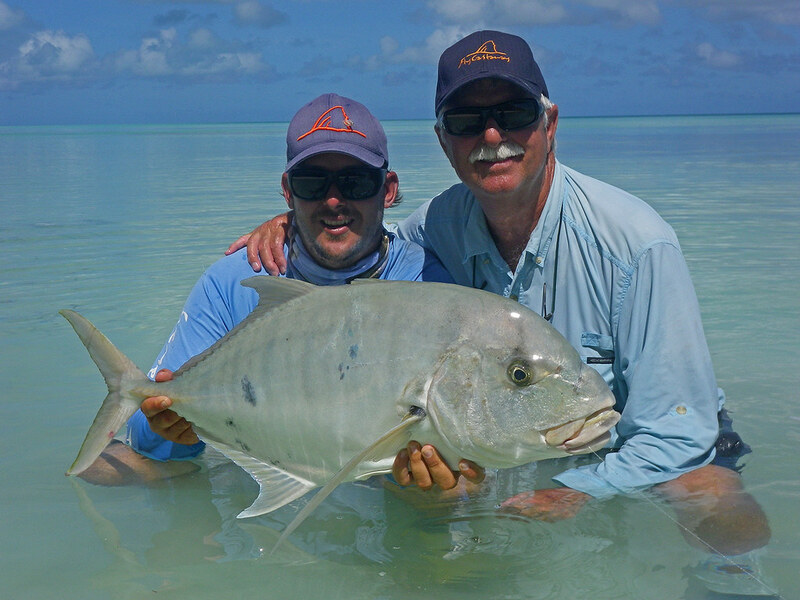 Alphonse’s greatest attribute is the amazingly healthy and unpressured populations of all these sport fish. 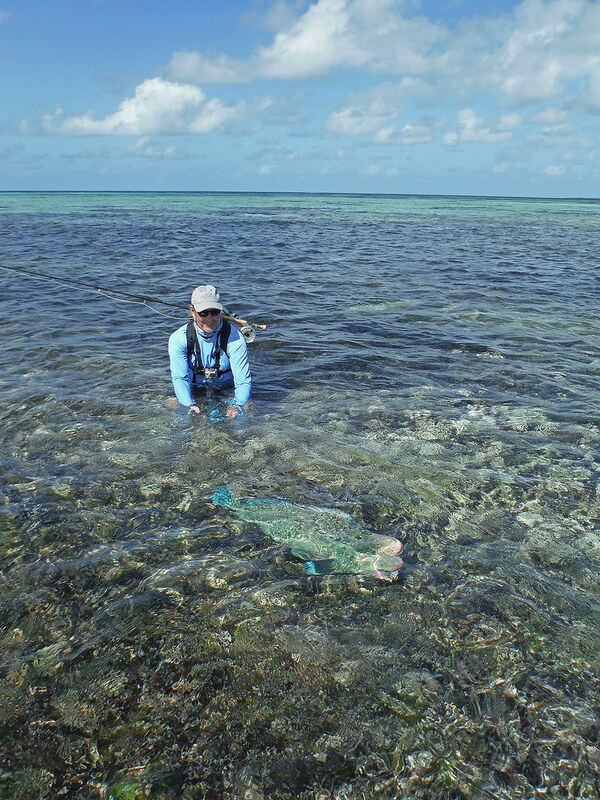 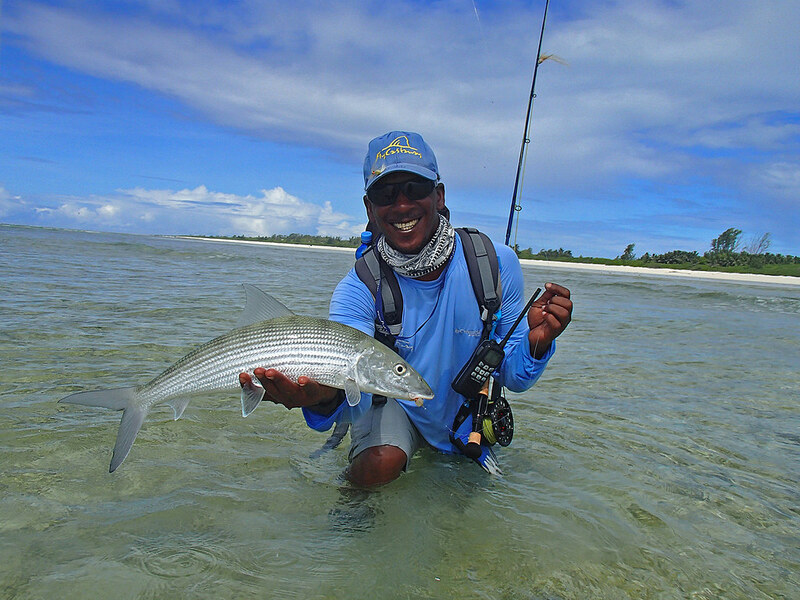 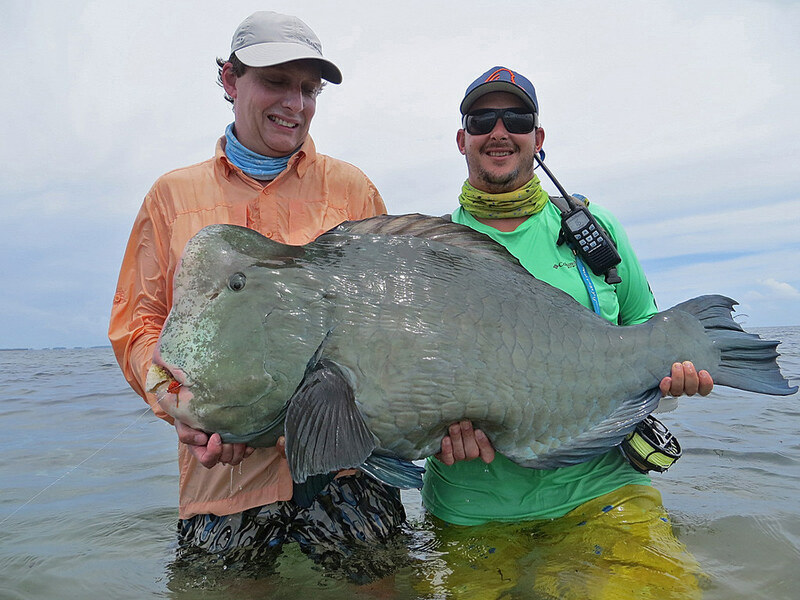 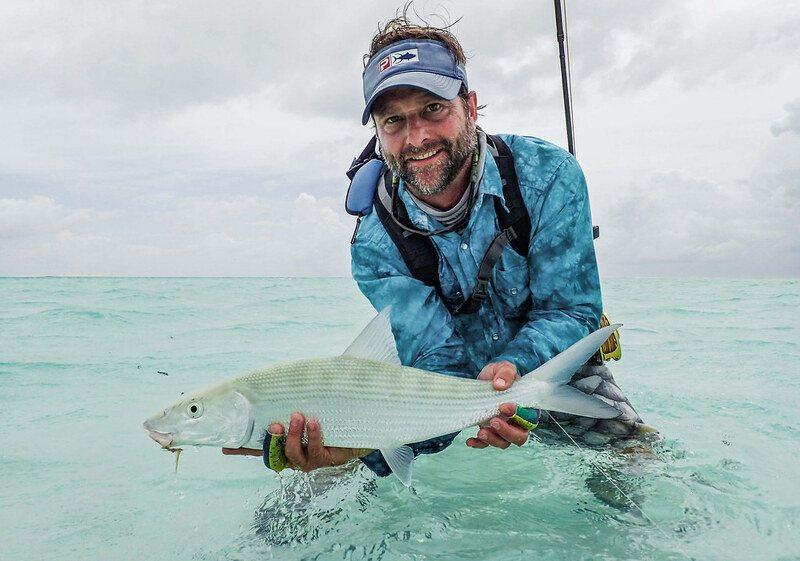 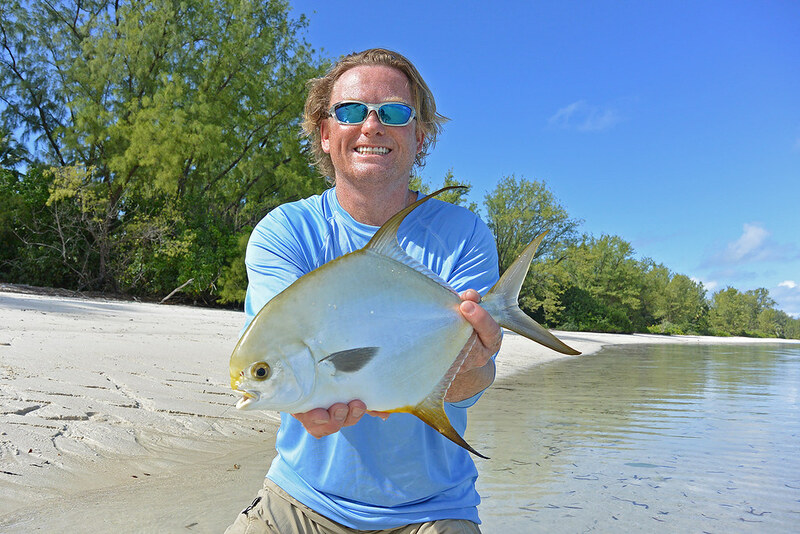 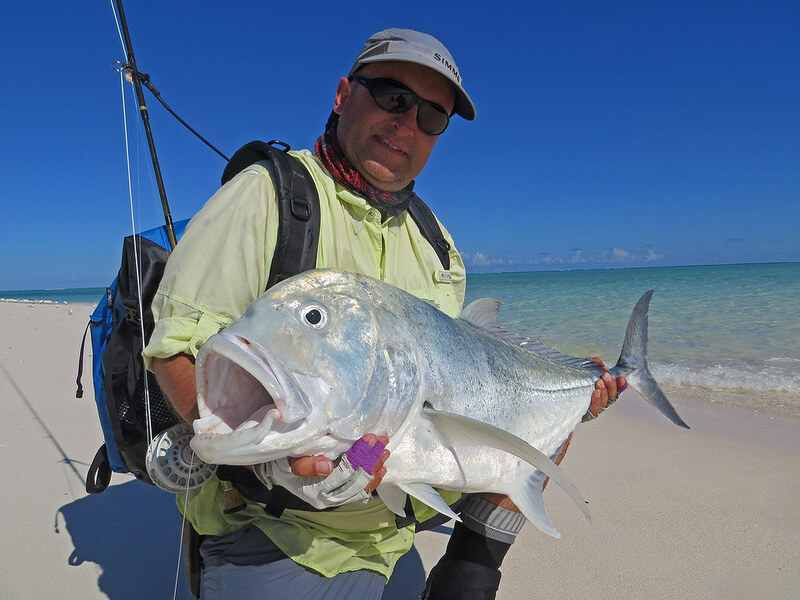 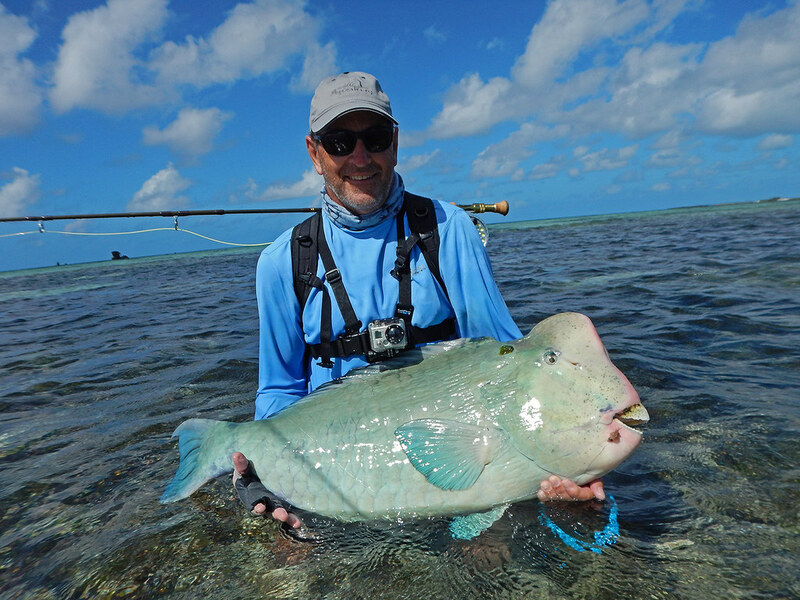 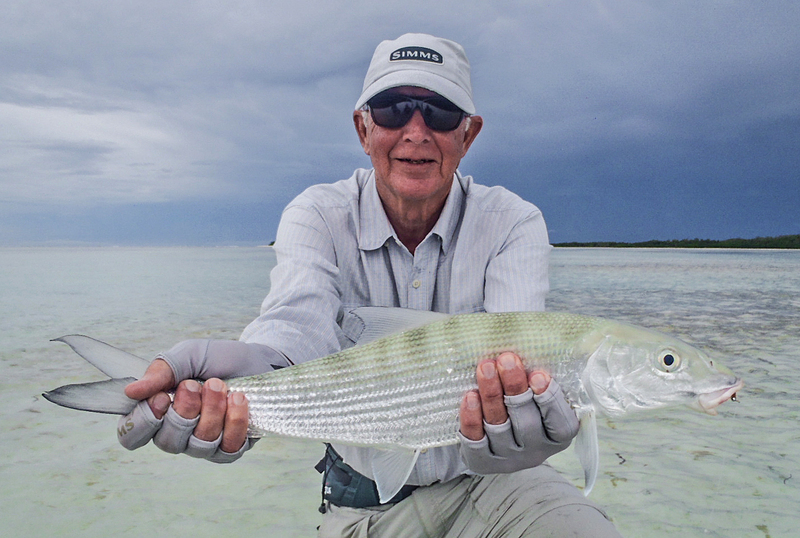 Only a handful of anglers at any given time have the opportunity to fish the 10,000 acres of hard, white sand flats that Alphonse accesses on an annual basis. 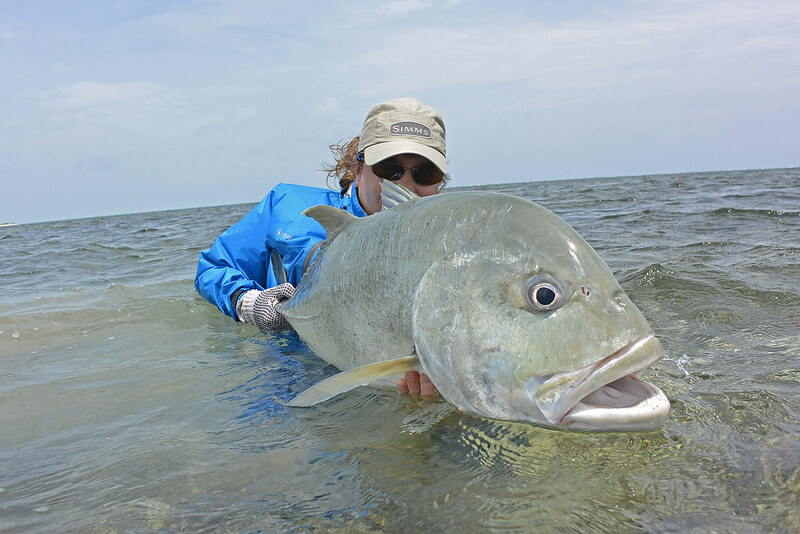 These nearly untouched hard bottom flats also provide for some of the world’s greatest saltwater wade fishing. 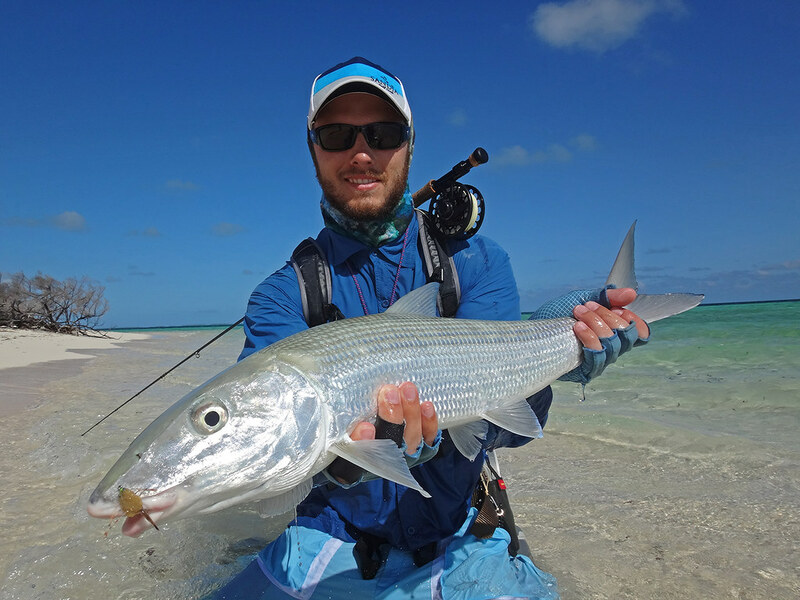 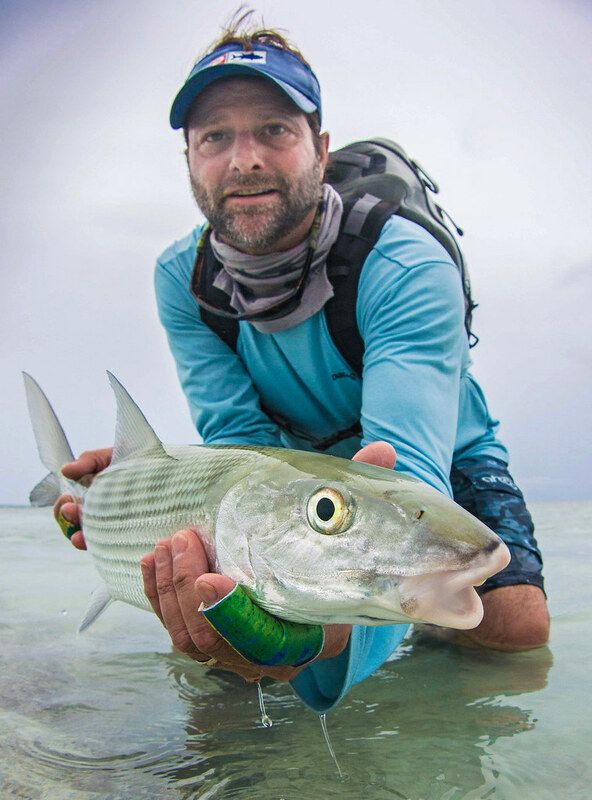 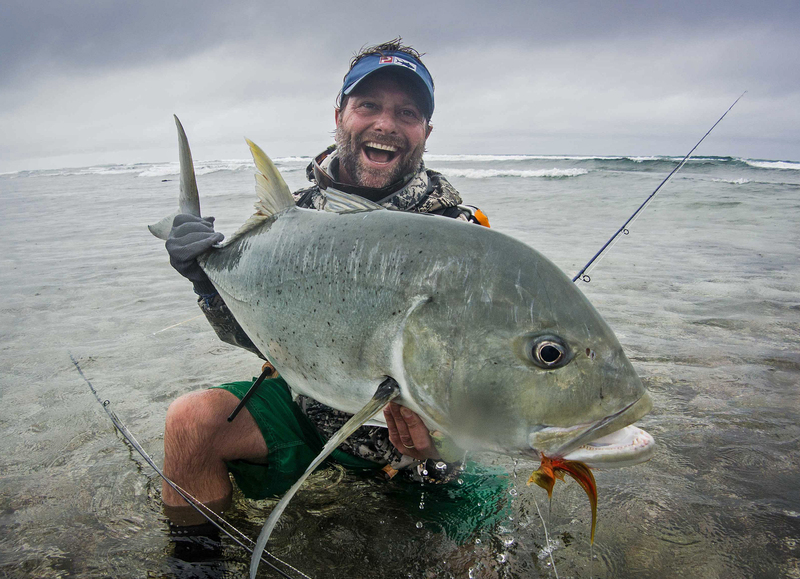 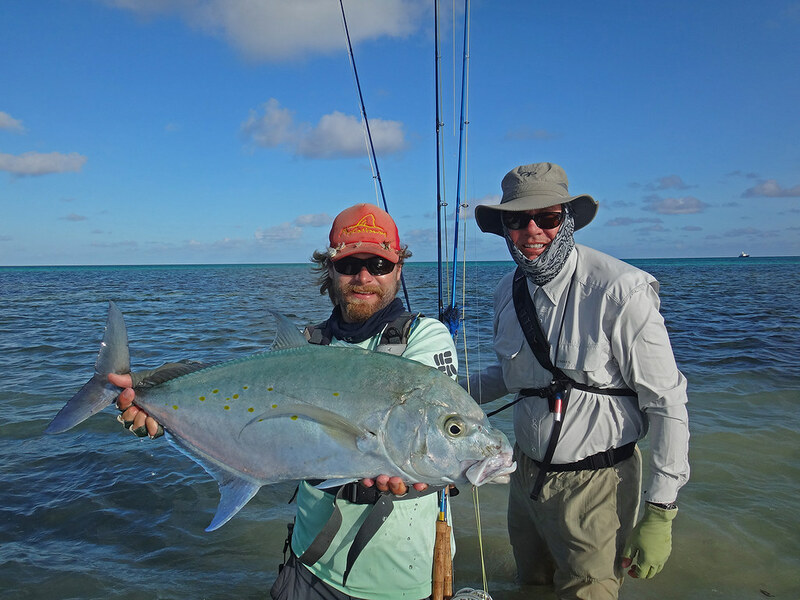 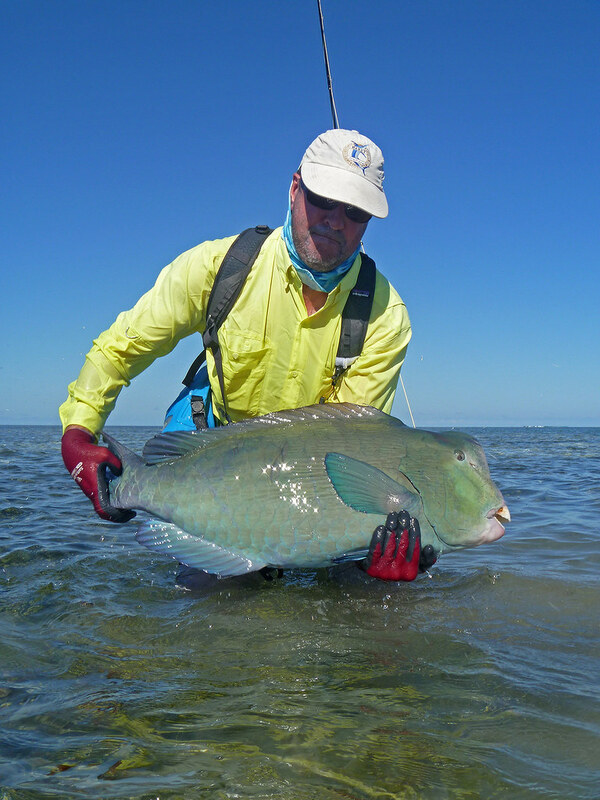 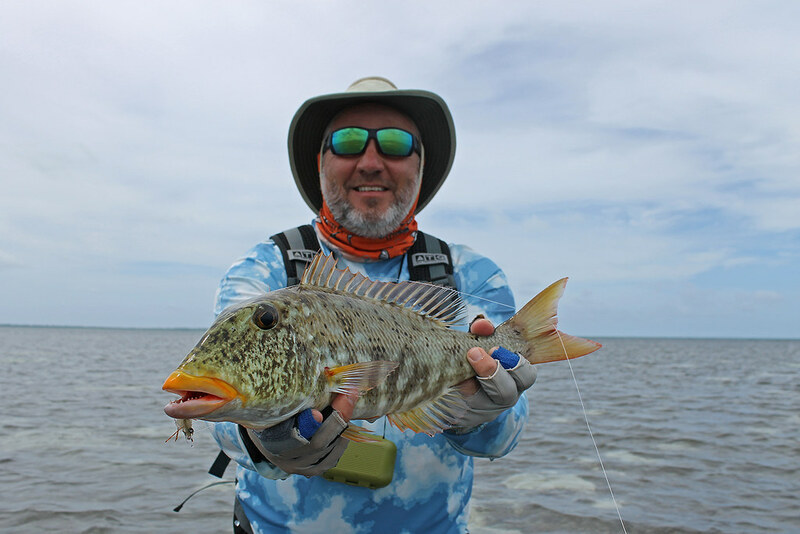 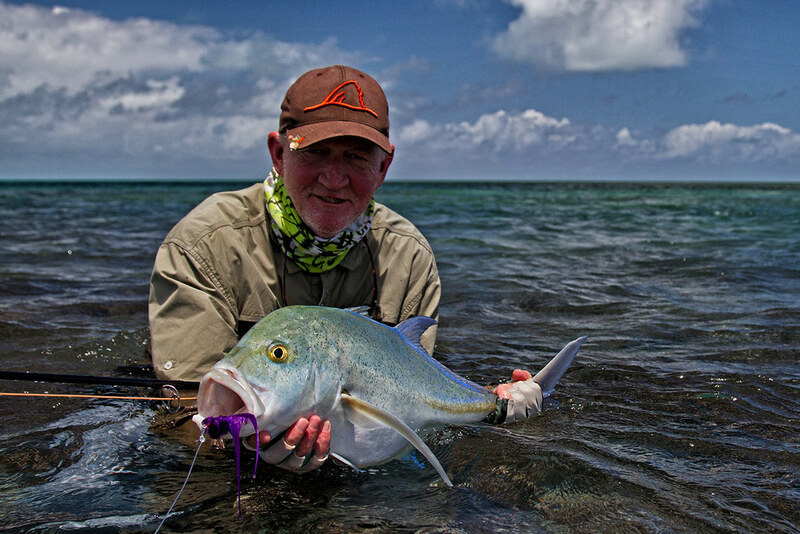 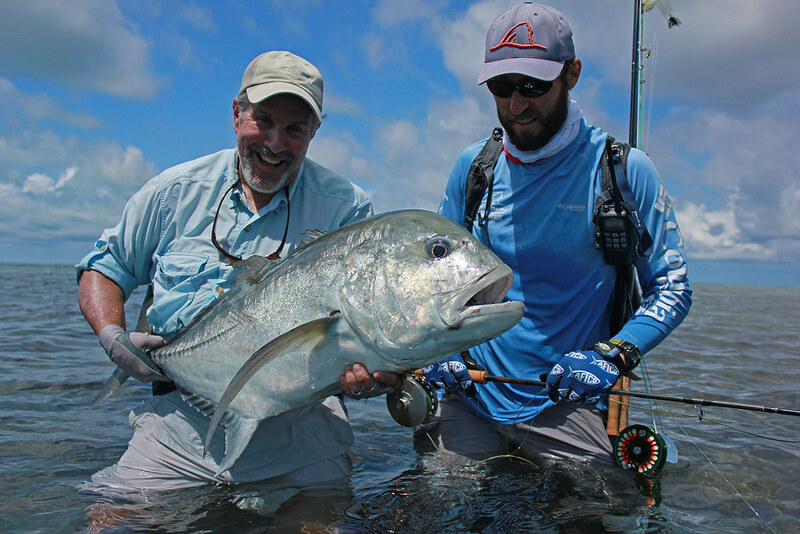 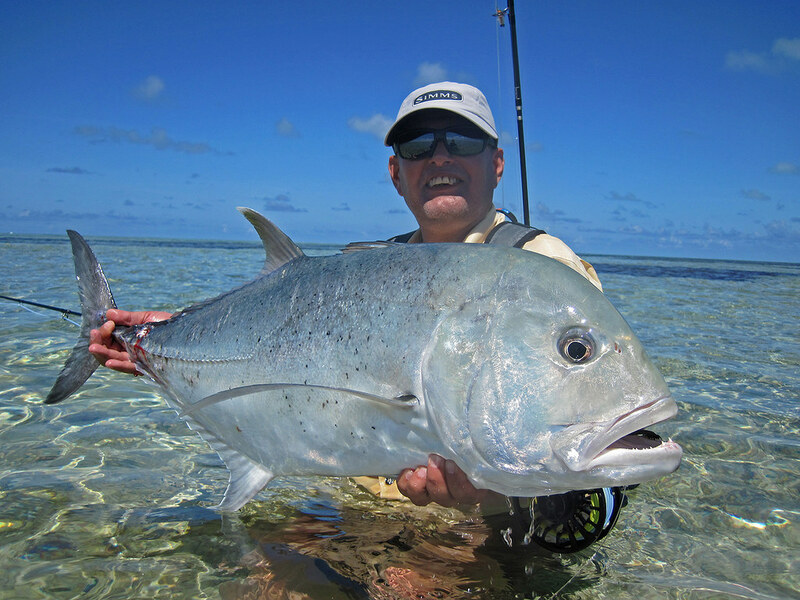 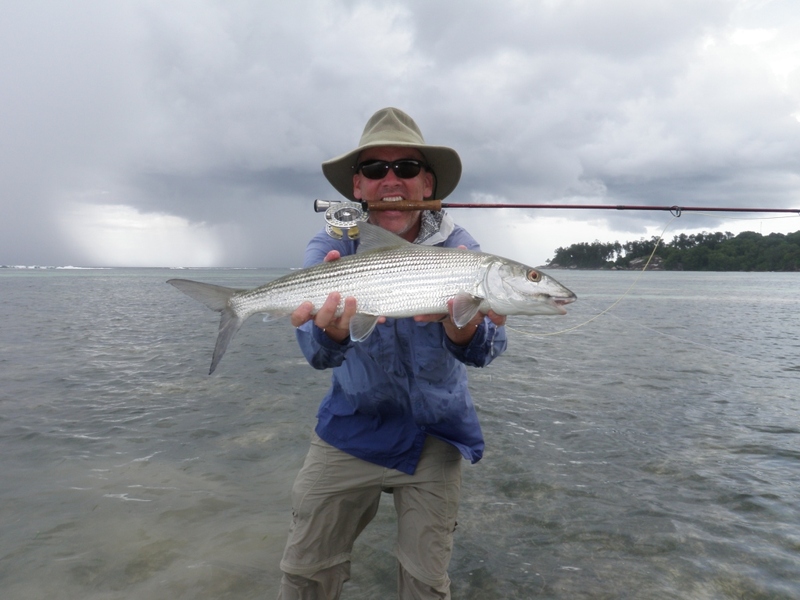 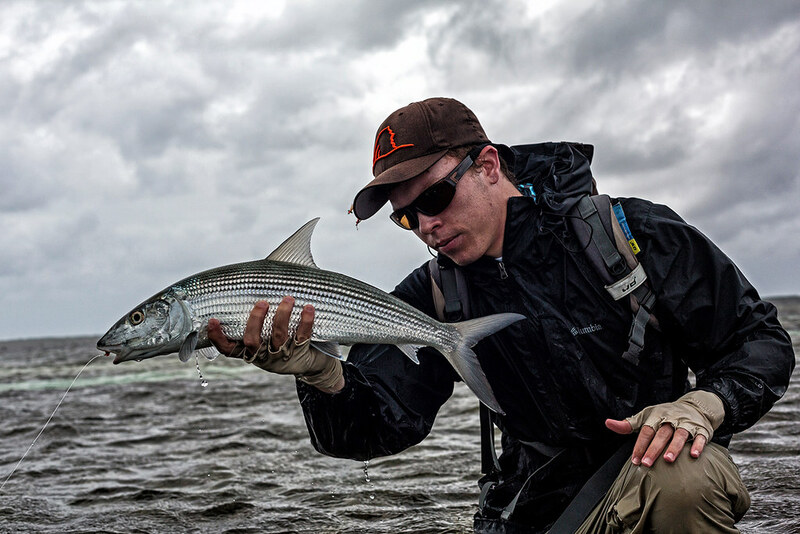 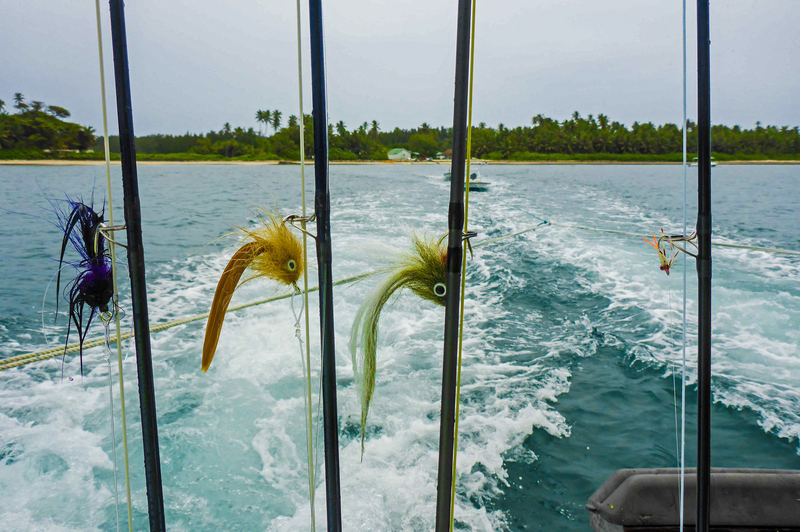 Nothing compares to stalking, casting and landing a bonefish or permit on foot, which is the typical strategy employed at Alphonse unless fishing for Milkfish or chasing a large hooked up Giant Trevally to deeper water. 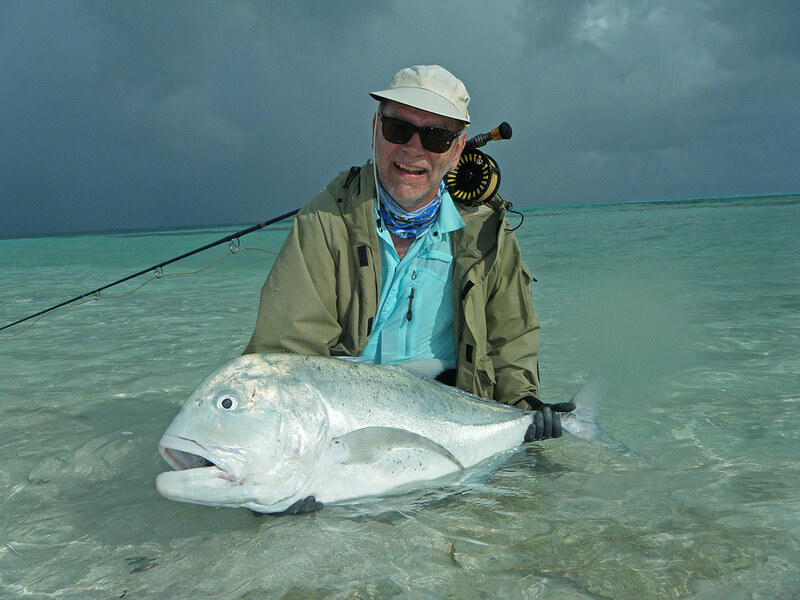 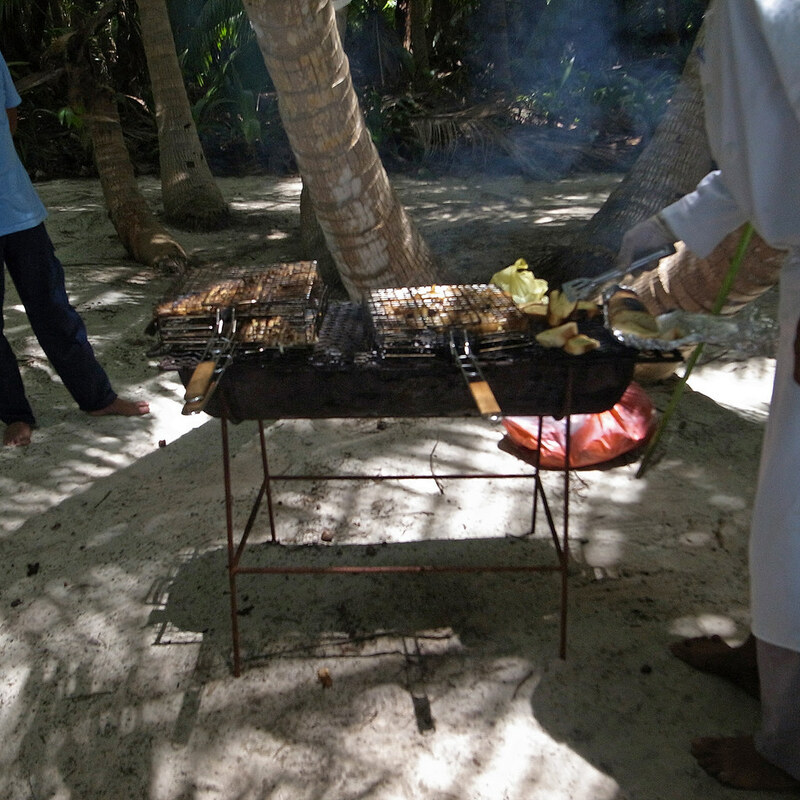 There is even some great wade fishing for bones right off Alphonse Atoll for those anglers who enjoy waking up and fishing before breakfast or finishing the day on a flat before cocktails and dinner. 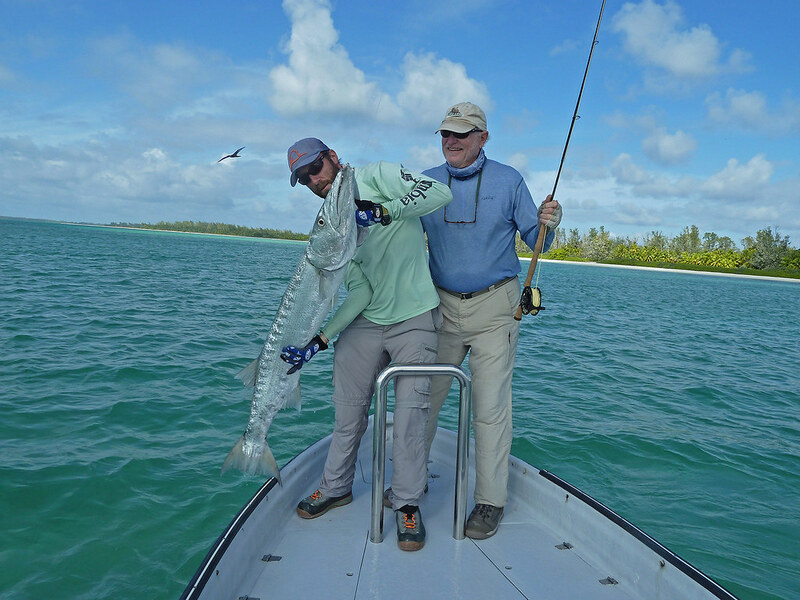 Although Alphonse primarily attracts the fishing obsessed, the island offers plenty for guests looking to do other activities. 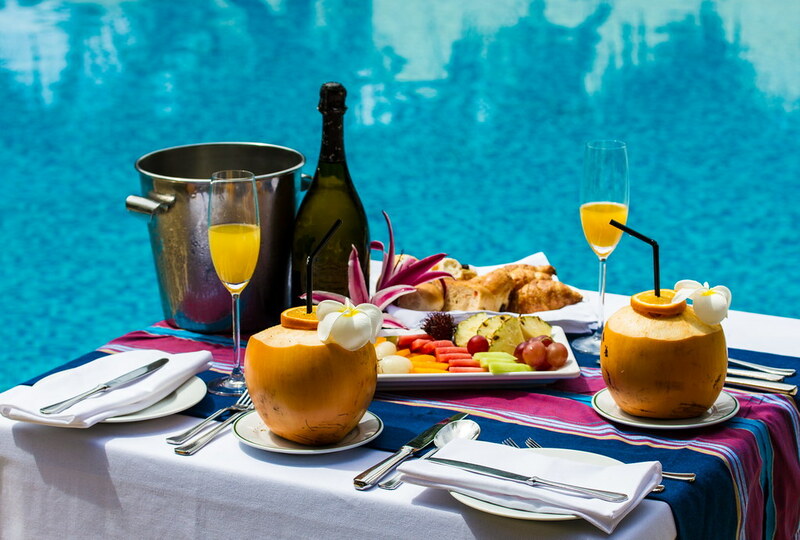 Between the warm ocean water and pool, there is always a nice spot to spend a day relaxing and reading in the sun. 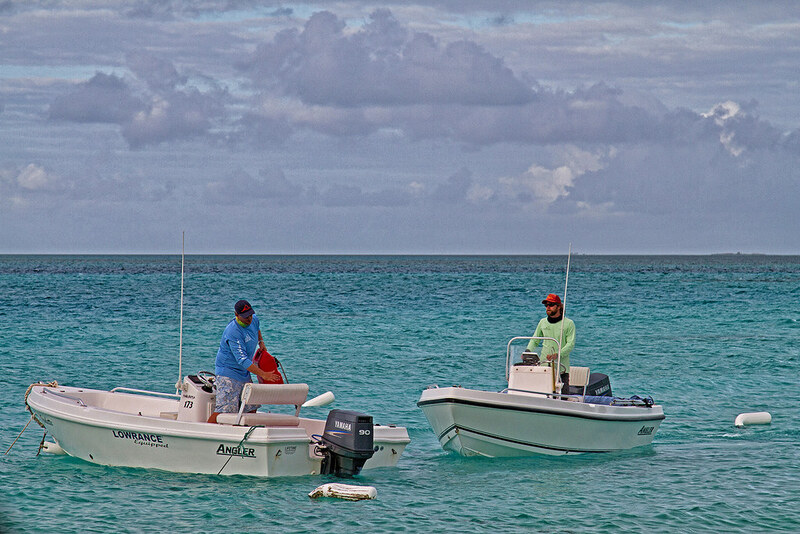 Alphonse has some great snorkeling right around the island and offers pedal boats, windsurfers, laser sailboats and kayaks to explore the lagoon and shoreline. 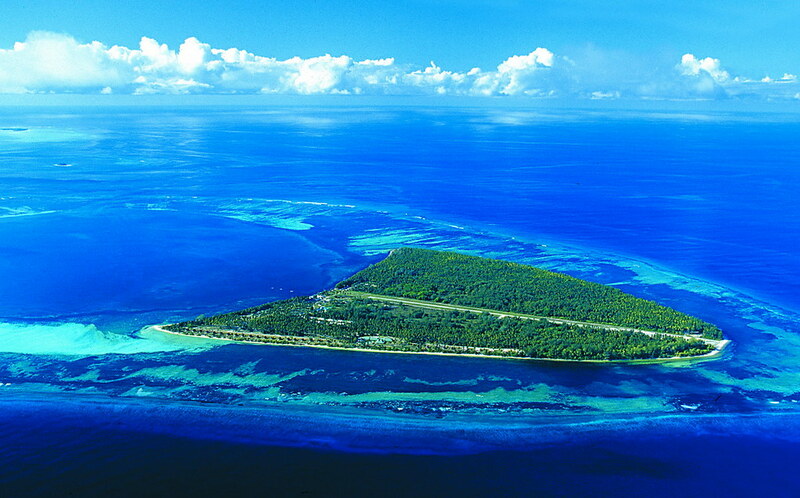 It also offers a spectacular dive program complete with a fully equipped dive center and a professional team of international diving instructors. 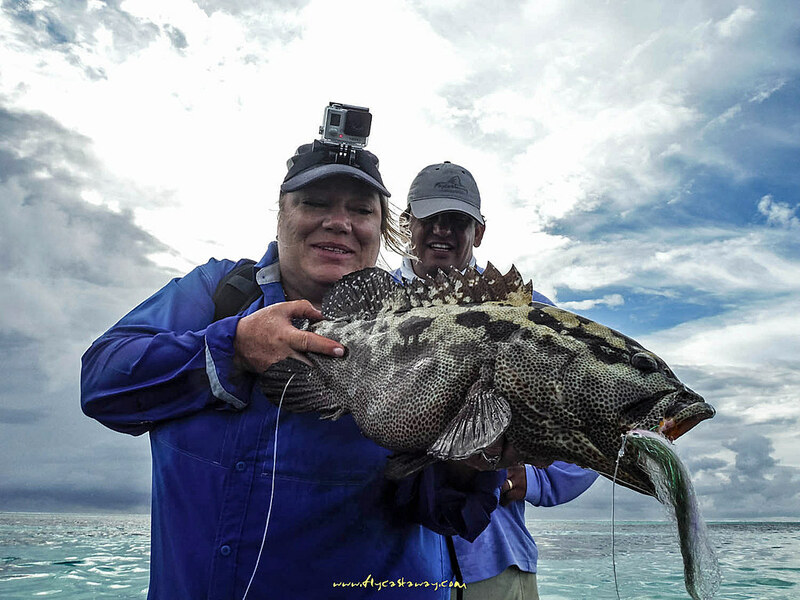 The sheer drop-offs, rich currents and abundant sea life that surrounds the Alphonse group of Atolls makes it one of the most exciting and diverse dive destinations in Seychelles. 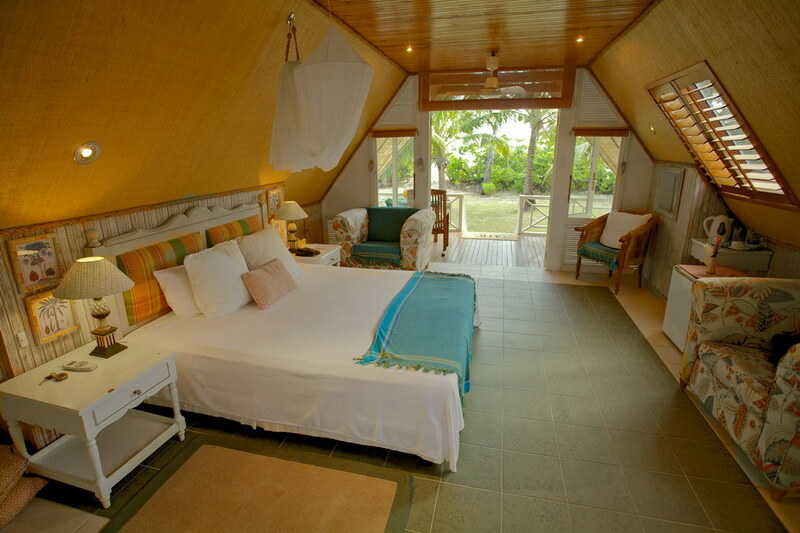 The accommodations at Alphonse are among the most comfortable and upscale of any outer island destination in the world. 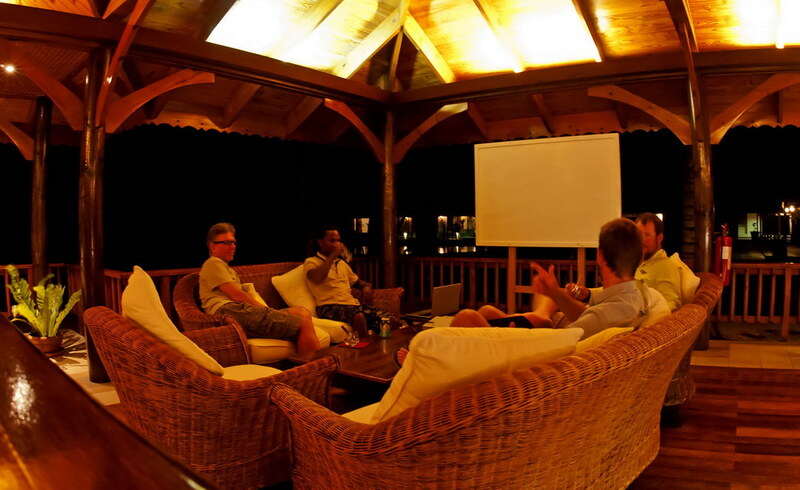 Guests have the option to stay in either 15 individual, private bungalows or 5 one bedroom villas all of which are air conditioned. 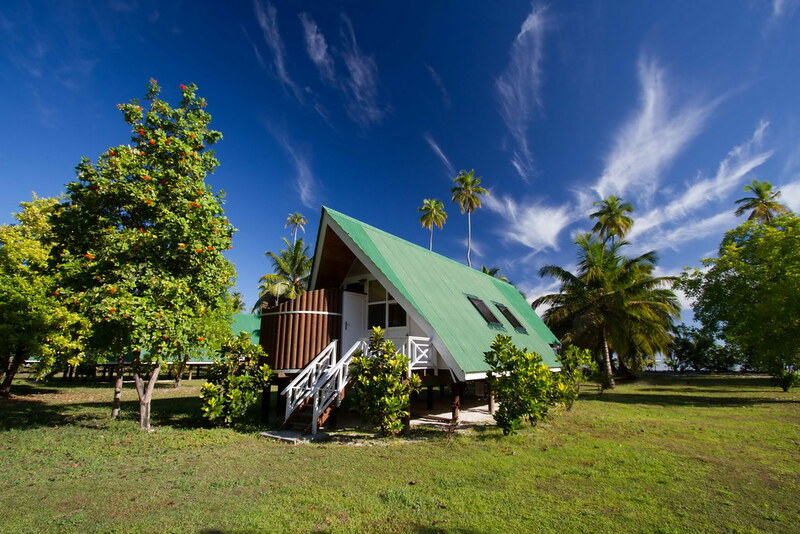 Each guest has their own bungalow with a queen bed, bathroom and plenty of space for gear. 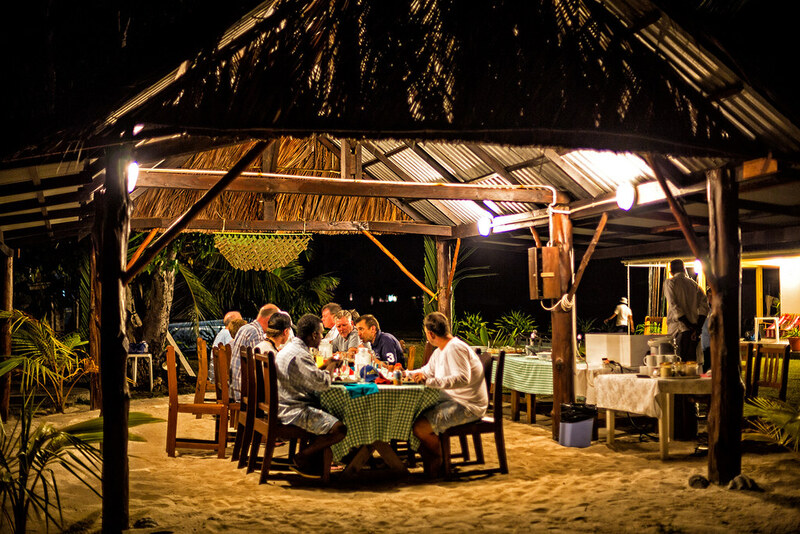 A beautiful open air bar and brand new restaurant offer perfect social areas for fishermen to congregate before and after their fishing day. 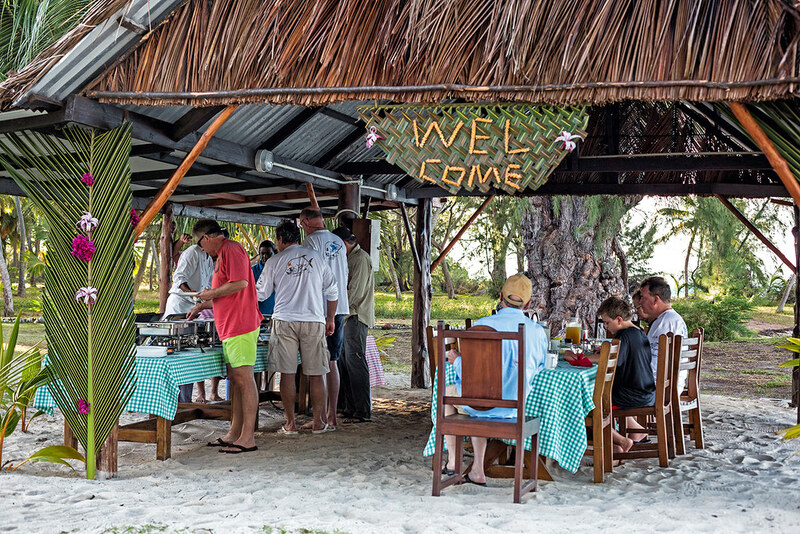 Each guest is provided a bicycle for the week as the best way of getting around the island, whether that be for meals or to and from the fishing center, where each day of fishing begins. 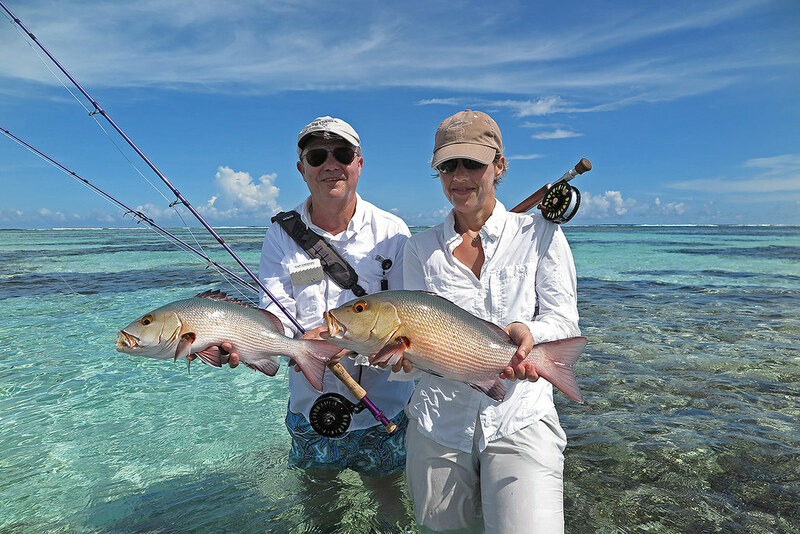 Anyone who has seen photos of the Seychelles is immediately drawn to the sheer beauty of the coral island, white sand beaches and mesmerizing flats. 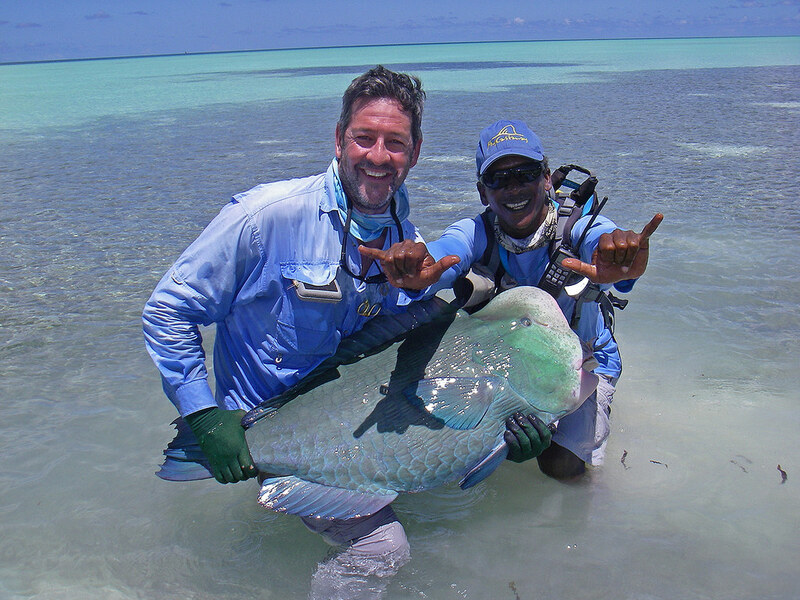 Alphonse exemplifies all these qualities to the fullest. 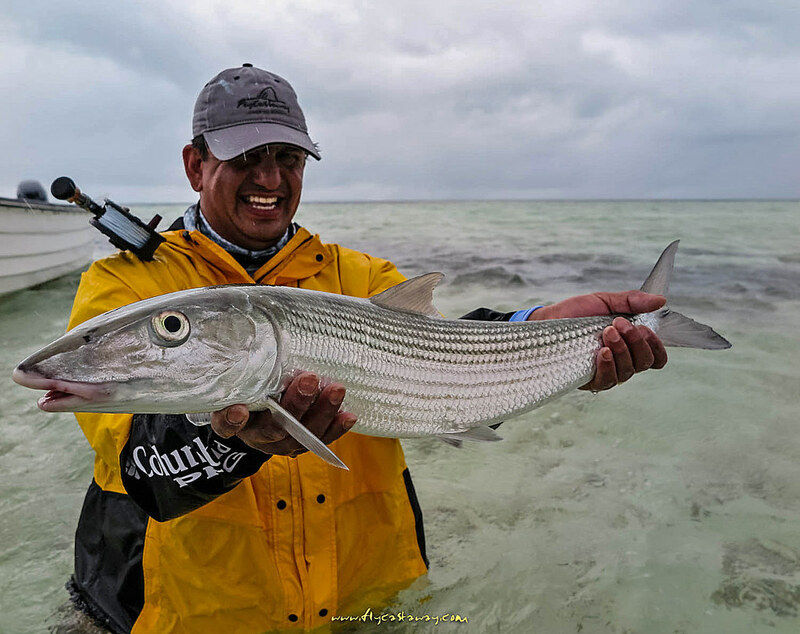 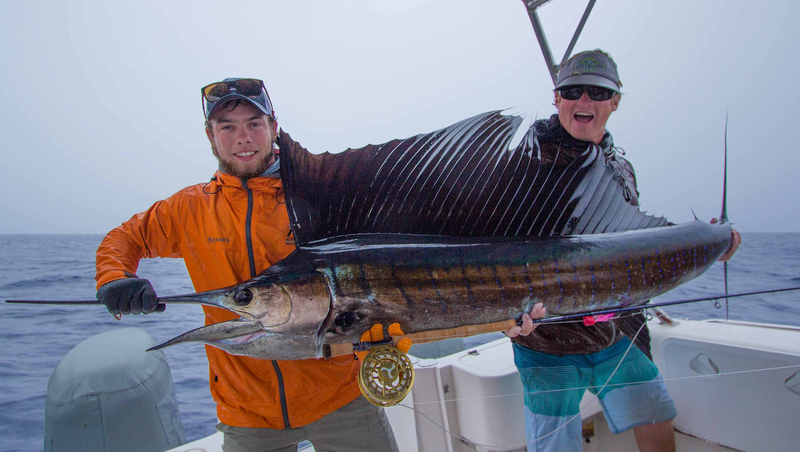 The location and setting are worth the trip in itself, however; the amazing fishing opportunities that surround this paradise provide the most special saltwater fishing opportunity of a life time. 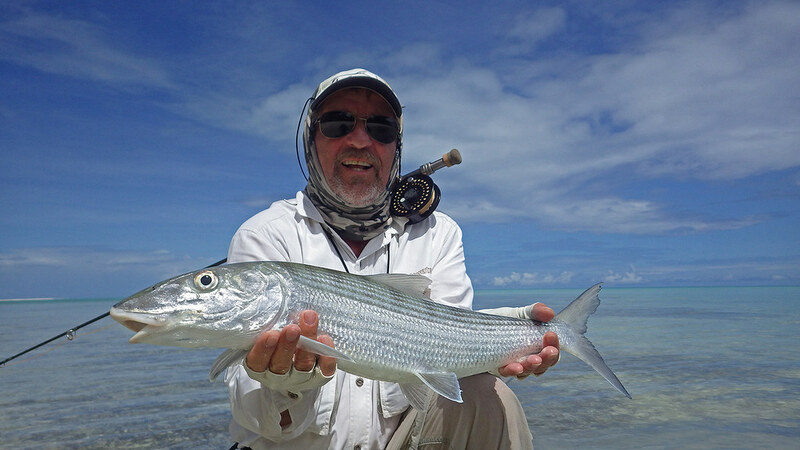 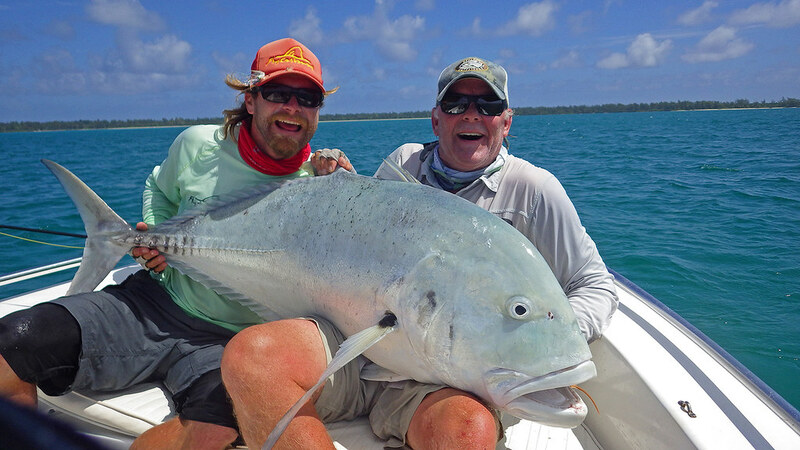 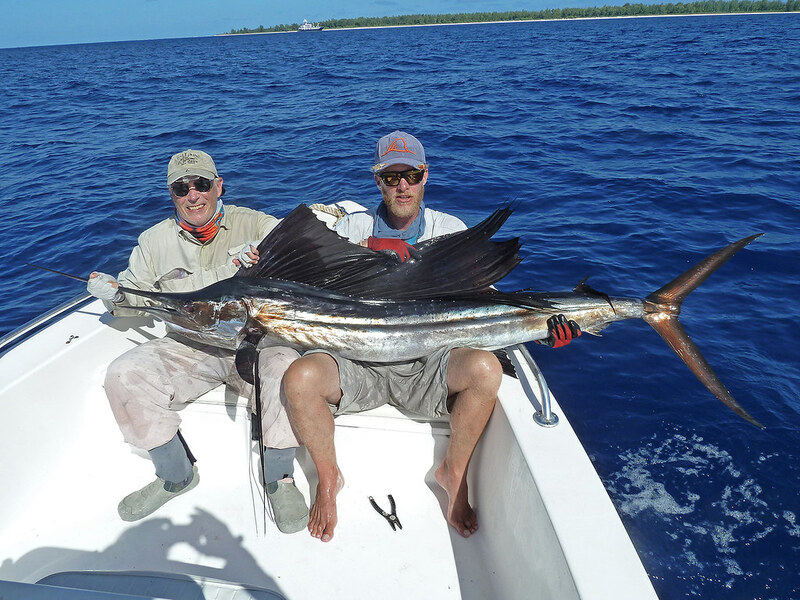 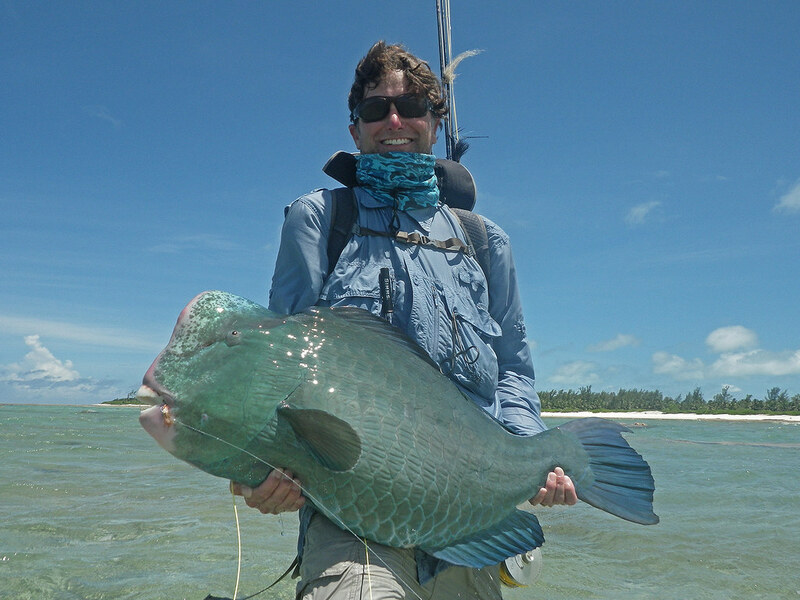 WorldCast Anglers Alphonse Island – Seychelles Trip Report 2015!